Mohammad Amir has been recalled to Pakistan's one-day international squad for the five-match series in South Africa. The pacebowler has only featured in 10 ODIs since the ICC Champions Trophy final in June 2017, taking just three wickets at an average of 100.66. 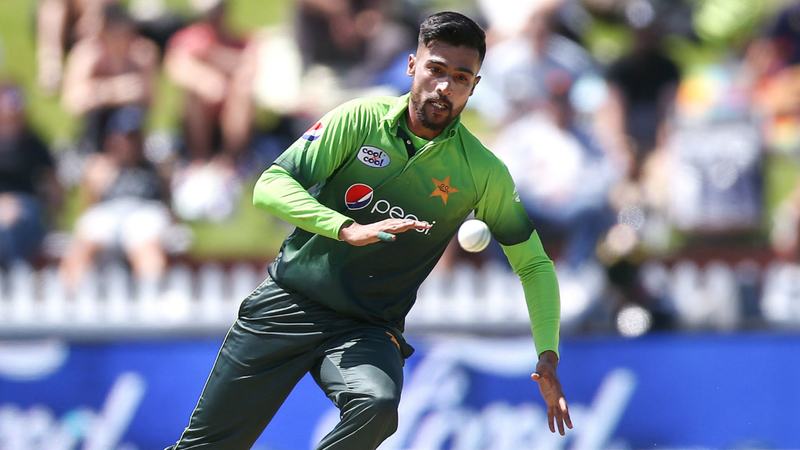 But Pakistan's chief selector Inzamam-ul-Haq explained that Amir's strong performance in the first two Tests against South Africa, which the Proteas won to secure a series win ahead of third and final match starting on Friday, saw him earn the nod for the 50-over contests. Fellow seamer Mohammad Abbas is rested for the series. "Amir's good performance in the Test series not only made him an automatic selection, but also helped us in the decision to rest Abbas," Inzamam said in a Pakistan Cricket Board release. Wicketkeeper-batsman Mohammad Rizwan is back in the squad for the first time since January 2017 and will provide back-up for the gloves to captain Sarfraz Ahmed. Asif Ali and Junaid Khan, who were part of the previous ODI squad against New Zealand, miss out, with Inzamam stating the former is dropped due to "inconsistent and below-par performance" and the latter to "work more on his bowling since the fitness issues that had cut short his series against New Zealand". Uncapped ODI duo Hussain Talat and Shan Masood are also included.